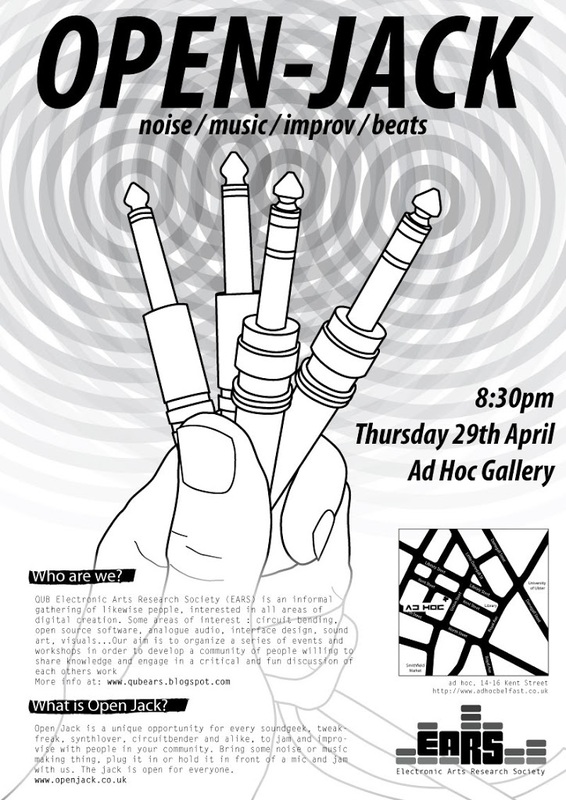 EARS are putting on an open-jack night on Thursday 29th April at the Ad-Hoc Gallery. I designed/illustrated the poster to pair up with the style of the VJ workshop (see previous post). Was a good night last time, and now the PhD is submitted I think I’ll get something together for it… I recommend going if you’re in Belfast!